After three long years since he last visited the beautiful African country, Melvin Odua is back there to visit close pal Dillish Mathews. 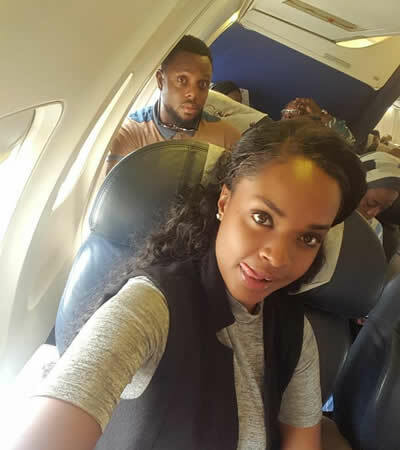 The twosome who met and became friends while on Big Brother Africa 'The Chase' 2013 where they were both finalists with Dillish taking it all, have hooked up once again after Melvin jetted into Namibia recently. The excited Dillsh shared on social media some goodies Melvin brought for her all the way from Nigeria. 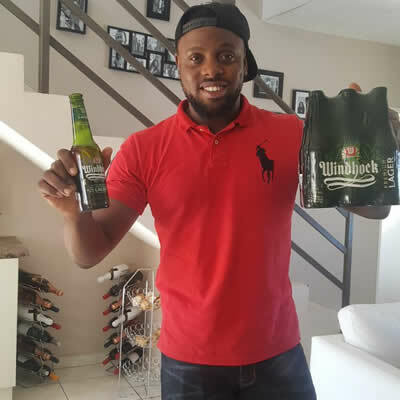 Melvin loves Windhoek Beer and didn't miss a chance to grab a couple of them as soon as he landed, no wonder Dillish suggested that he should be made a brand ambassador. Hopefully, Melvin enjoys his stay in the beautiful Southern African country.